We are dedicating this newsletter to the act of Giving. Giving is connected deeply to love and next month, Valentine’s day will take place which is the Holiday of Love. I want to share with you a story of a jewel that I gave as a present to a customer. A story that illustrates maybe more than anything the power of giving and faith. 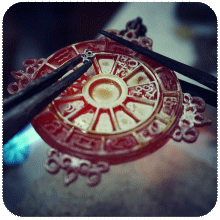 A year ago or so came to my workshop a man about 40 years old, who was looking for a pendant or an amulet for healing. After he explained to me that the pendant is for him, I asked what the specific purpose of the pendant is, and what is he suffering from. He explained to me that he has advanced cancer that is spreading in his body. I thought for a moment and I went to one of the drawers and pulled out a silver jewel named the "Over-Soul Pendant". 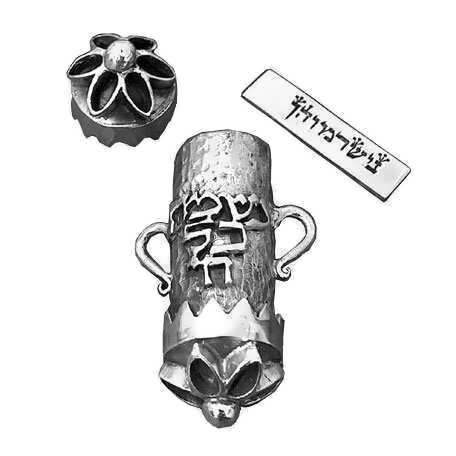 It is a special pendant made from a small silver vessel and in it a small plate engraved with the bearer's name in Hebrew. 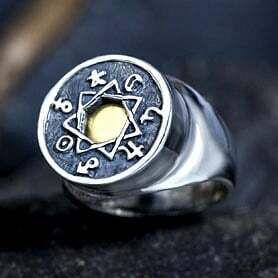 In between the letters of the name, the letters of the Hebrew word for soul – “Neshama” - are engraved. 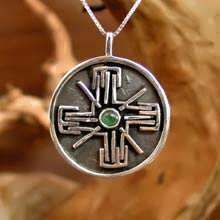 The pendant is used as an ancient amulet for success and healing. 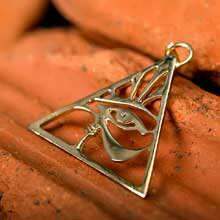 I showed the customer the pendant and I explained its significance. The customer became excited and asked for it. We inscribed on the silver plates his name in a certain way. He thanked me and approached to pay. At this point I refused accepting payment from him and I explained to him that his payment has to be complete recovery and healing... He thanked me excitedly and we separated in peace. A year passed and a month ago he called excited and told me the full story. It turns out that when he appeared at my workshop the doctors told him that he had two months to live. He is married and at the time his son was six months old. After he went out of the workshop he made sure to go around with the pendant. Two months passed, another month passed and in this way nearly a year went by. He told me the doctors were surprised and didn’t understand what is happening. In the meantime he went through a difficult surgery and now from zero chance of recovery, the doctors are already talking about good chances for recovery. At the time that he told me the story, I was working on a new pendant that symbolizes giving and love. 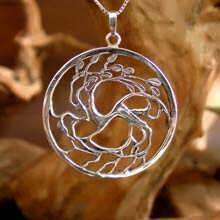 It was a symbol of a tree whose roots and branches form the symbol of the Yin Yang. 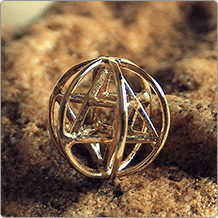 I created the pendant due to a suggestion from a customer who sent me a sample of the symbol. After I saw that the symbol existed already as a pendant, I decided to create my own version. The next day when I finished the design, The same customer who had received the pendant a year ago appeared with a gift. It was a bonsai tree that is sold in many flower stores under the name, "The Tree Of Love" so I decided to call the new pendant, "tree of love". I decided to offer the pendant for the coming Valentine's day February 14th. The Yin Yang is an ancient Asian philosophical outlook that sees polar opposites or opposite powers as powers that complete and define each other. 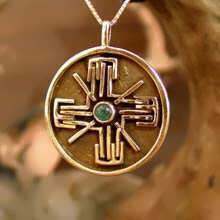 The same cosmic powers that are represented in the pendant also act upon personal level, the relationship and the daily level. 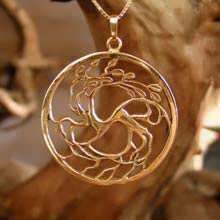 The pendant represents the esteemed ideal of love where the female, male and nature act in perfect harmony and balance one and the other. 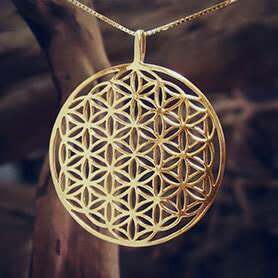 The pendant also represents the perfect giving where every factor and every deed nourishes and strengthens the essence of existence which is love. A new symbol in sacred language received by Dvora Pearlman. 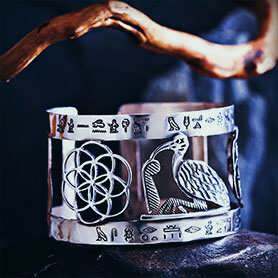 The symbol is called Or-Osher (Light-Bliss). Light is the first creation mentioned in the first chapter of the Bible - “And He said Let there be light. And there was Light”. It is order brought into chaos/darkness/potential of “All That Is”. All life stems from light, all thought, all creation. For us humans, we can only perceive returned light- light that reflects on something and then returns to us. Without reflection we cannot see, feel or know the order that light brings. The symbol is created from the Hebrew letters of the word Or (Light) and the added letter from below- Shin, (that turns Or into Osher) serves as a reflector and container for the light. This way the Light of creation turns into Bliss. The words repeat 4 times in a circle like the 4 directions of the planet. 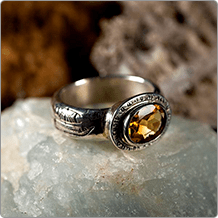 By connecting to this sacred symbol, your being learns how to work consciously with Light and your life becomes blissful. Throughout December 2012, we conducted a project where we offered 30 jewels from a choice of 5 pendants and rings for needed people. We received around 100 requests from different people with various life situations that were not easy. It was not easy but we chose the winners and we sent them the gifts. We received great responses that reminded us of the importance of giving in our world. We want to thank everyone who participated or shared this project. Throughout the world, people celebrate Valentine's Day on the 14th of February. 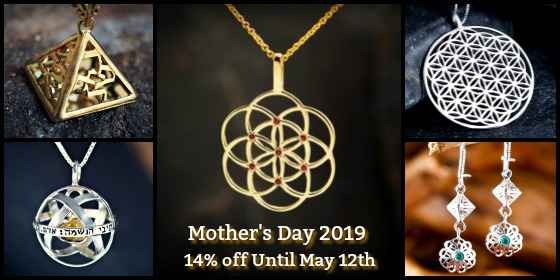 In honor of this we offer a variety of jewels that are connected to love at a discount of 14%. The current subject of the newsletter is giving. 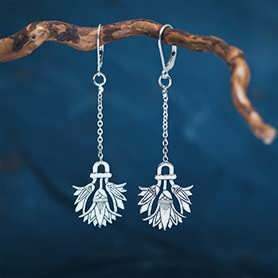 Love and giving are deeply connected one with each other.The symbols in these jewels are symbols of unity and balance. Any sort of relationship is just a reflection of an inner process we are going through. If we want this love to thrive, we need to realize that we need to find the perfect balance within ourselves and not outside. Through the relationships in our life we attract the situation that can help us find this balance and this cosmic perfection just like the Yin Yang symbol.